How do I edit my account/profile? 1. From the home page click on Edit My Account on the left navigation bar. 2. On the Sign In page put in your email address. 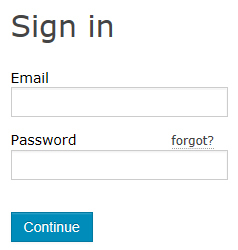 If this is your first time accessing your account or you have forgotten your password, just click continue. You will be sent instructions on how to set or reset your password via email. If you already have your password, you can log in directly. 3. Make any necessary edits to your profile. Note you can put in more than one email address if each address is separated by a comma. 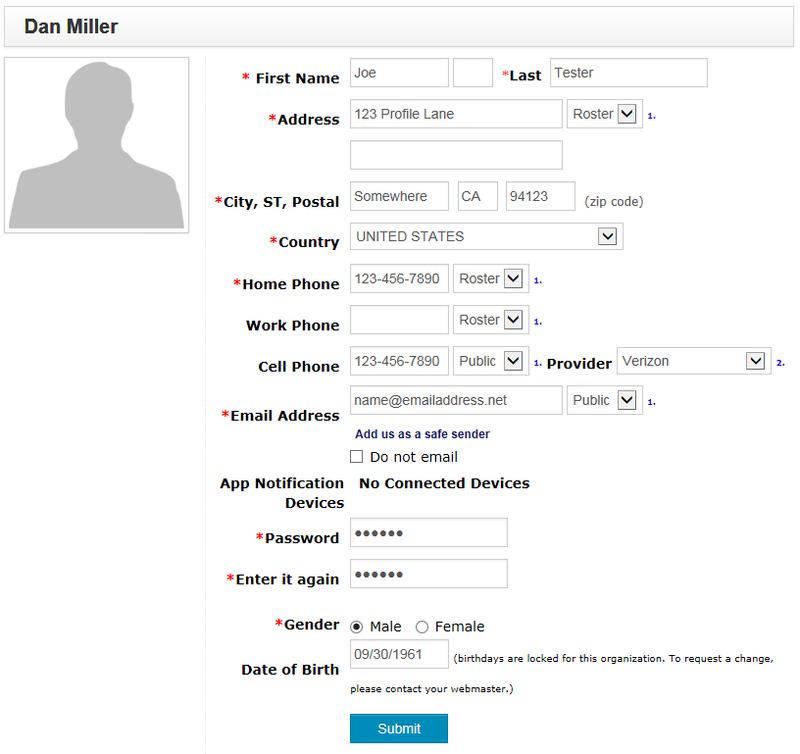 Note that you can select one of three display options for your contact information. Private is only viewable by administrators. Roster is only viewable to team members with the team password. Public is viewable by the public. Click the submit button before exiting.